Always here for you, 24 hours/day. Our hotel in Burlington is close to everything, from some amazing tourist attractions to all of the specialty, industrial and manufacturing companies that you may be coming to visit for work or leisure. Whatever brings you to Burlington, the team at our award winning Hampton Inn & Suites® Burlington, is ready to welcome you and help make your trip memorable. 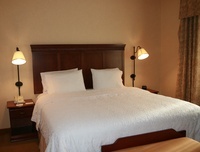 102- Spacious Guest Rooms & Suites and professional meeting space. 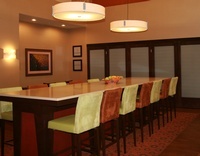 Complimentary hot breakfast, High-speed internet access, business center, indoor heated pool & hot tub, fitness center, on-site restaurant and much more.